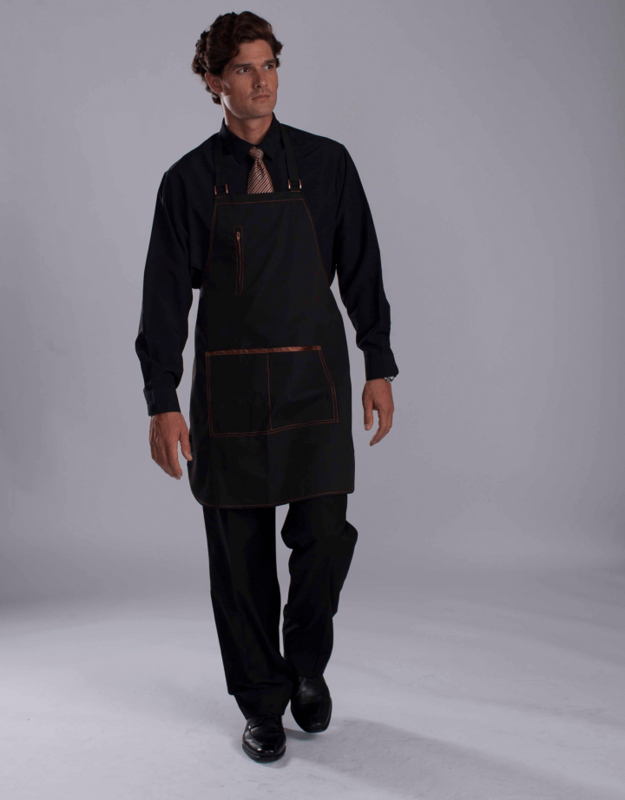 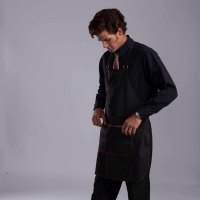 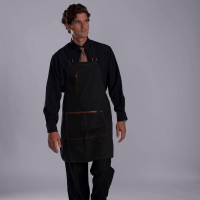 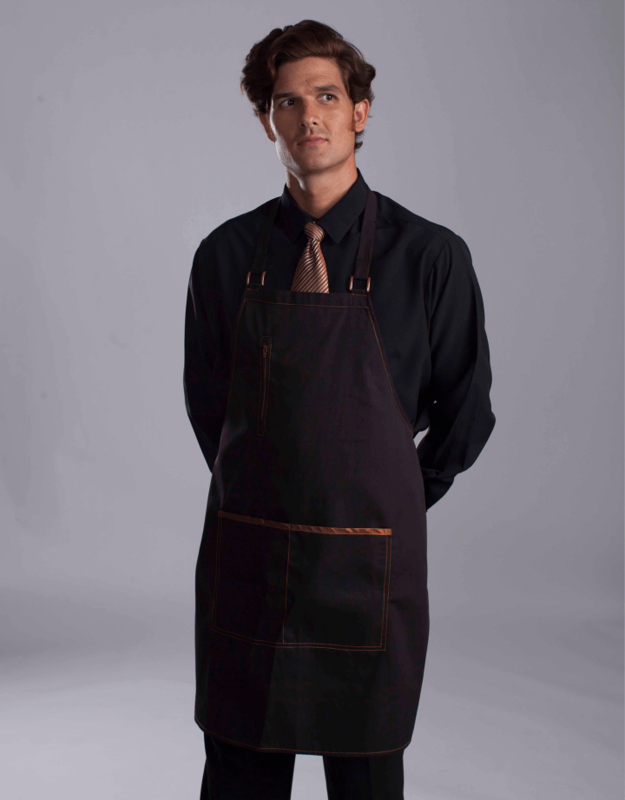 A standard bib apron with a twist. 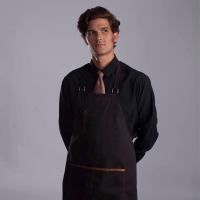 The copper accents provide a perfect companion to the Eddy. 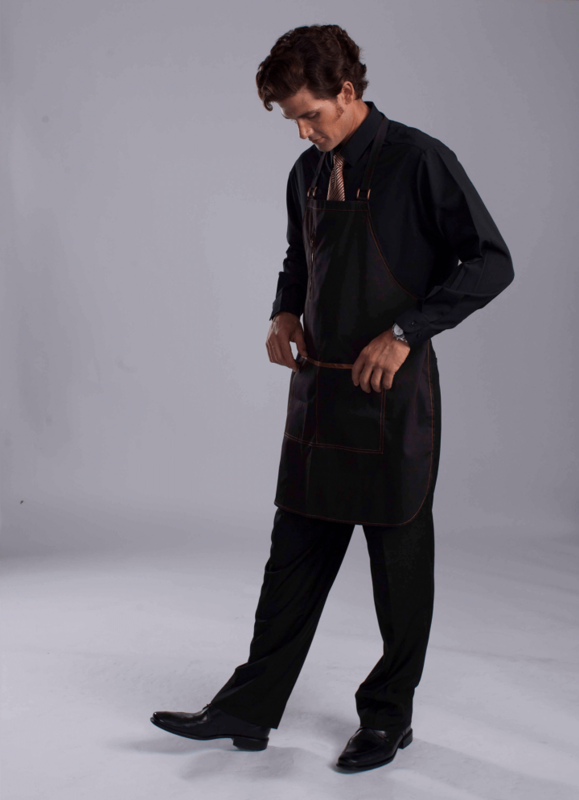 Paired with a stock black shirt and black classic slacks.